Old school games? NEIN! 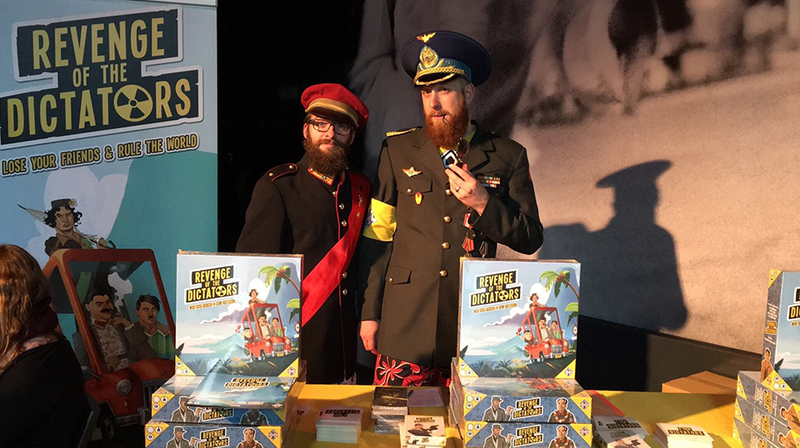 At the official release party of the insane board game Revenge of the Dictators and the 1st edition of the Limburg Board Game Con, yeah we love long titles. The moment when the first board game of Black Box Adventures officially becomes available requires celebration. Next to the release party there will plenty other games to try out. Different board gaming associations are working together to organise an exciting day for you. You will also have a chance to test new prototypes and buy new games. So forget Monopoly, Risk, and other pre-historic shelf fillers and let yourself go. Enough reasons to get off the couch and take your friends and family to the 1st edition of Limburg Board Game Con!